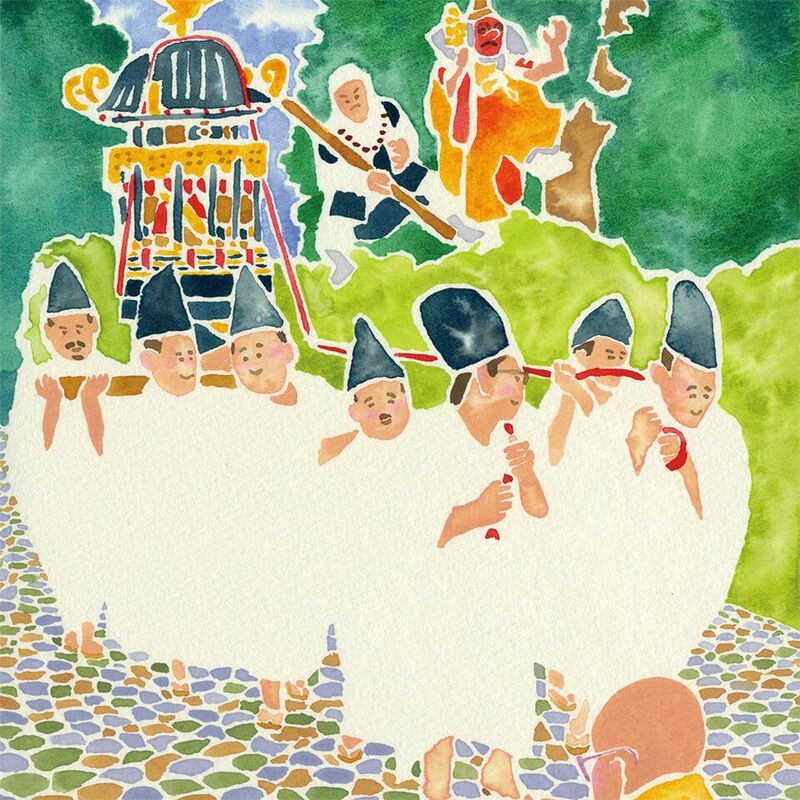 “Daisen Miyuki” is one of the memorial services of Daisen-ji Temple held in May every year. The origin of this traditional parade goes back to the Heian Period. “Daisen-ji Engi” which describes the history of Daisen reveals that all the people born in seven ancient provinces of San-in and San-yo regions were clan members of Buddhist deities. This meant that they were obliged to serve deities from birth and were promised to gain a profit in their life regardless of their social status. Seven portable shrines have been inherited and the number of shrines indicates the number of ancient provinces in the San-in and San-yo regions. These portable shrines are carried and people dress up as characters from Japanese mythology such as Sarutahiko, monk soldiers, children and noblemen of the Heian Period to join the 800m (0.5 mile) long parade on the street, from Bakuro-za to Daisen-ji Temple. This elegant and refined parade looking like a picture scroll from the Heian Period brilliantly re-enacts the most flourished period of Daisen-ji Temple. Today, the “Daisen Miyuki” parade creates a poetic atmosphere in spring in Daisen.